There really should be no difference between Mail in 12.17 and standalone Mail, if everything is configured the same. So check that the configuration is correct. Where should I check specifically ? Click the 'Spanner' icon in the 'Mailing lists' header (on the right hand side panel) and select 'Customise / Hide Mailing lists'. I think I've noticed some mails go unmarked in my Android Email app IF I happen to read them in Opera Mail before they get synced in the app. But if I read them AFTER, then their going marked as "Read" never gets synced. I have to read each one manually in the app so they'll stop being highlighted as unread. All of that, including the deletion of emails, used to sync itself both ways seamlessly before. Are you sure you have set-up your account in Opera Mail as IMAP ?. If you go to 'Menu / Mail and chat accounts... /' and highlight and click 'Edit' on the account in question, do you see an 'IMAP' tab on the far right of the window/dialog that appears ?. It should also say 'IMAP' under the 'Type' column of the account in the 'Manage accounts' window too. 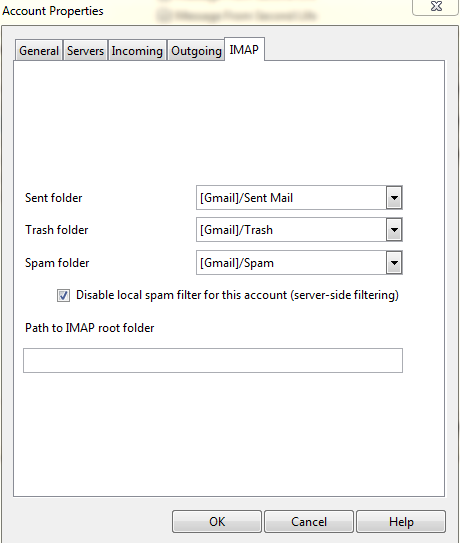 > Are you sure you have set-up your account in Opera Mail as IMAP ?. > If you go to 'Menu / Mail and chat accounts... /' and highlight and click 'Edit' on the account in question, do you see an 'IMAP' tab on the far right of the window/dialog that appears ?. > It should also say 'IMAP' under the 'Type' column of the account in the 'Manage accounts' window too. Now I've switched to using the newer Opera and Opera mail and have set up all my mail accounts to IMAP but the changes I make in sorting and deleting emails are no longer synced with the Android Email app. What kind of settings? Regarding deleted messages, are you emptying the trash after have deleted the messages? Rarely, I didn't used to have to. I use Outlook and i also see similar issues. Sometimes it takes a whiule for the phone's app to update the messages status.